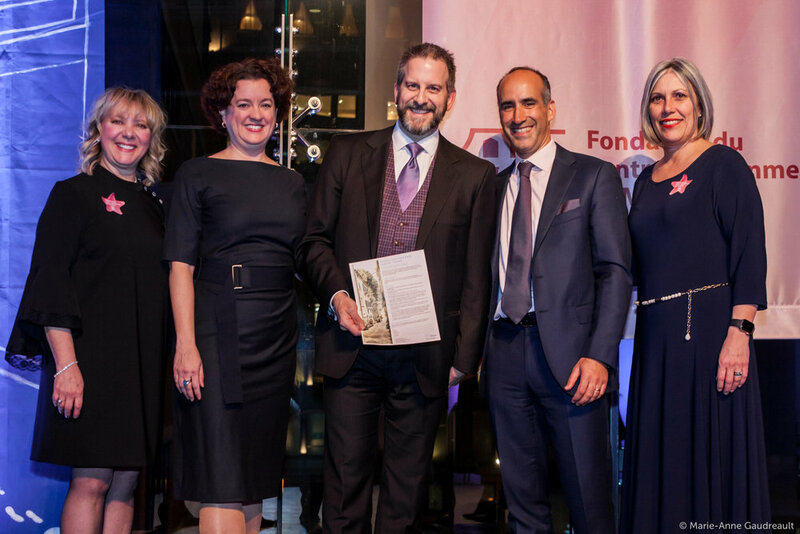 Thank you to all our patrons, our partners, donors and all those who participated in the 21st edition of the benefit-evening which was in full swing at the Parquet of the Caisse de dépôt et placement du Québec on March 21st. Under the theme "A constellation pour Elles", the evening was copresided by Ms. Lorena Biason, Vice-President, Financial Planning, Quebec, RBC Royal Bank and Mr. Simon Lauzier, Senior Vice-President, Investment Optimization and Capital Markets, Ivanhoé Cambridge. Ms. Myriam Fehmiu lent her legendary spirit and her talents as a host to make this evening a special moment of generosity, talent and emotion that generated a record net income of $ 340,000. These funds will allow the Women's Centre of Montréal to continue to provide a warm welcome, a listening ear, and the many and essential resources needed to ensure that thousands of women and their families live a better life and hope for the future. This year the Foundation of the Women’s Centre of Montreal is organizing 3 benefit events. Still to come on 15 March 2018. 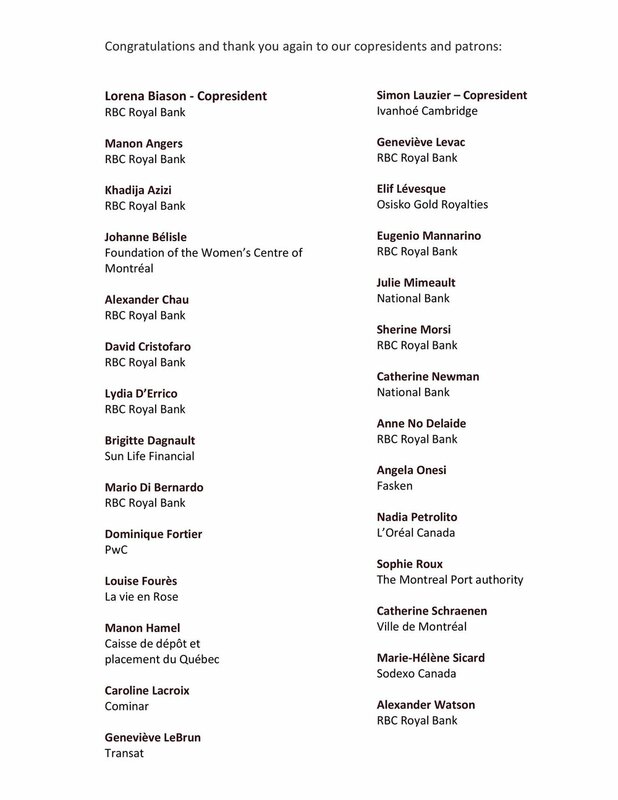 The 20th benefit evening will take place at the Parquet of the Caisse de dépot et placement du Québec and will be co-chaired by Martin Thibodeau, President, Quebec Headquarters, RBC Royal Bank andKim Thomassin, Executive Vice-President, Legal Affairs and Secretariat of the Caisse de Dépot et placement du Québec. You may indicate your interest and send your donations on line or by mail to 3585 St. Urbain, Montreal, QC , H2X 2N6. 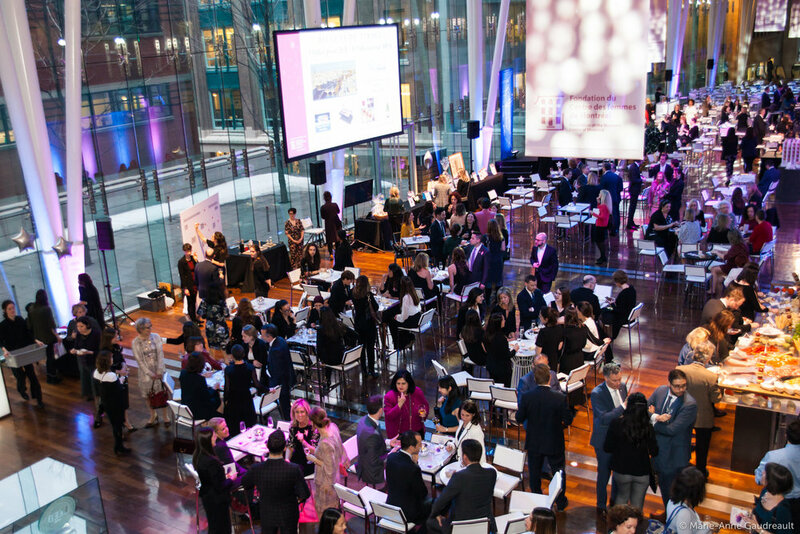 We invite you to join us in wholeheartedly supporting the Women’s Centre of Montréal through its 18th annual benefit evening sponsored by the Foundation. That will be held on Wednesday, March 30, 2016.